We get bashed on all the time for not being pro-DMAA. Well, here is our take on this controversial ingredient. DMAA has been a topic of hot debate ever since USP Labs got nailed for military personnel deaths linked to their pre workout Jack3d. Immediately after that event, warning letters went out to all supplement manufactures using DMAA in their products. From then on, DMAA use ceased to exist. 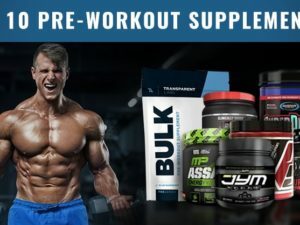 All major retailers like GNC, Amazon, and Bodybuilding.com completely stopped accepting DMAA products. Something that they continue to do today. However, quite a few smaller supplement companies have begun selling DMAA products again, since, the DMAA ban never actually went into full effect. To make matters worse, these companies claim that DMAA in their products is safe. They base this off the fact that the US Military was unable to entirely deem DMAA as dangerous in their Department of Defense DMAA Safety Review. What these supplement companies fail to mention though, is that this verdict was based upon insufficient data due to the pre workouts and fat burners in question containing multiple ingredients. Due to this, they could not scientifically pin down DMAA as the only aggressor with 100% certainty like they would be able to do in a single ingredient product. But what they were able to share, was that DMAA use is associated with cardiac dysrhythmia, seizure, heat injury, rhabdomyolysis, cerebral hemorrhage, necrosis of the liver, and kidney damage. More so, light DMAA users were 1.7 times more likely to have 2 or more events listed above; and heavy DMAA users were 3.5 times more likely. This is compared to regular military personnel not taking DMAA. Note: DMAA use is still banned in the military to this day. Back in 1944, Eli Lilly and Company developed DMAA to be used as a Nasal Decongestant under the name Forthane. While it was used for some time, Eli voluntarily removed it from market in 1983. The reason behind that is not clear. But something we do know, is that Eli Lilly and Company is known for great feats (penicillin and polio vaccine), as well as great controversies (false claims and marketing) as you can dig into here on the Eli and Company Wikipedia page. Fast forward to recent years, and DMAA is being used as a stimulant and fat burner instead. We scoured google scholar and pubmed for all the legitimate information that could be found on DMAA. Of the results, not one study boasted the benefits of DMAA. Here is a short review of each in chronological order. In this case study, researchers evaluated the cause of a large brain hemorrhage in a 21 year old man. What they found out, was that the guy took 2 capsules of pure DMAA at 278 mg per capsule. He also had one beer and a 150 mg caffeine pill. While taking a 456 mg dosage of DMAA is clearly excessive, it is important to point out that DMAA has a long half-life. 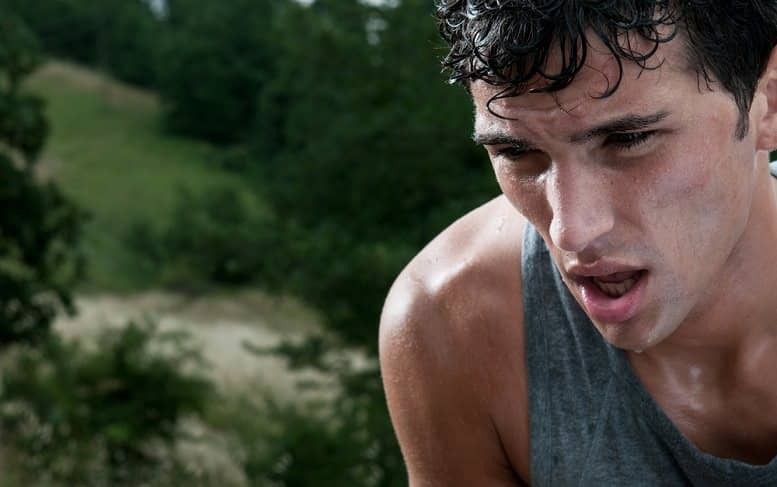 Meaning, if you take 200 mg DMAA in your pre workout, and then the next day take another serving… There is still some DMAA in your body from the previous day. Likewise, this guy wasn’t in the gym exercising and raising his blood pressure – yet he still had a brain hemorrhage at 21 years old from a legal drug. This is another New Zealand study which evaluated 3 separate instances of brain hemorrhage attributed to DMAA pills. In 2 of the 3 cases, DMAA dosage was under 75 mg which is relevant to what you get in a DMAA containing pre workout supplement. It is important to note that alcohol was involved in each case. However, given the long half-life of DMAA, this is applicable to most DMAA supplement users who occasionally (or frequently) drink. This research paper completely broke down and evaluated DMAA’s use, potential, and dangers. What they discovered, was that only 4-15 mg of DMAA is required for the compound to have a bronchodilator effect… Which in our opinion is a good thing, if used at that dose. However, they stated that doses higher than 100 to 200 mg are expected to cause serious health problems. It is not uncommon for dosages of this amount to occur in DMAA pre workout supplements. Here we have 2 US Military case reports on soldier deaths during exercise after supplementing with what we believe is Jack3d. Since they took a multi-ingredient supplement, no absolute conclusion could be made. However, the scenes of each death are in line with amphetamine related deaths – which DMAA is the closest relative to. Most DMAA supplements mark on their label geranium extract or Pelargonium graveolens extract, as if the DMAA is naturally found in a plant. This study, sought out to see if they could find DMAA in these plants and extracts. Turns out, it’s not there. What that means, is that all DMAA in pre workouts and fat burners are synthetically made, and not extracted naturally from plants like brands insinuate. This paper outlines the frequency of patent visits to Texas poison centers due to consumption of DMAA containing products. Most of the symptoms expressed dealt with blood pressure. However, definitive blame to DMAA could not be made, despite how apparent it is, due to supplements being multi-ingredient. Lastly, we have a recent 2015 evaluation of DMAA as an addiction-prone drug. In this evaluation, the Department of Pharmacology & Neuroscience at the University of North Texas determine DMAA to have several addictive characteristics similar to cocaine and meth. They conclude that further consideration is needed to determine if DMAA should be available to the public. 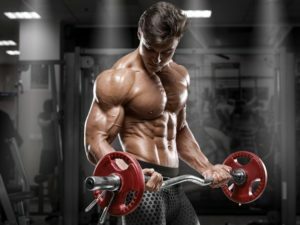 As you can see, there are quite a few cases against DMAA suggesting that this ingredient found in pre workouts, fat burners, and party pills may lead to serious health conditions. There are weaknesses in many of these studies, mainly because DMAA is rarely taken on its own, so it can’t be judged solely. Despite this, we at BWSB stand firm for not recommending DMAA supplements to aspiring bodybuilders, dieters, and athletes on an ethical basis. This is because, most people are not going to research the potential complications and risks associated with DMAA, and, we all know that the manufacturers using this stuff are not telling their customers. This sets the stage for many young men and women to unknowingly take in two much DMAA, which is quite easy, and end up in the hospital or worse. If you would like to see the FDA’s official warning on DMAA click here.